If insanity is doing the same thing over and over and expecting different results, then the government must be crazy to be ploughing on in their insistence on baseline tests for four-year-olds. It’s been tried – and abandoned – twice before. We know from experience that it doesn’t work, and that the whole project makes no sense. Three years ago the government asked schools to administer one of three assessments to children at the very start of school. When they found that the three baselines gave very different results for the same children, they put baseline plans on hold temporarily. Now they have unaccountably decided to plump for one of the tests, as if with no other test to compare it to we can pretend it is giving a true picture. The contract has gone to NfER to develop and pilot the test, based closely on the test they used in the last round. There were problems with it then, and these won’t go away next time around. Listen to teachers who used the NfER baseline in 2015, quoted below. It is unreliable As anyone who knows four-year-olds can confirm, a child won’t perform to order but will show us who they really are as they play and engage with people and things around them. It is not possible to use a 20-minute test on such young children and come up with a useful picture of what they know and what they can do. 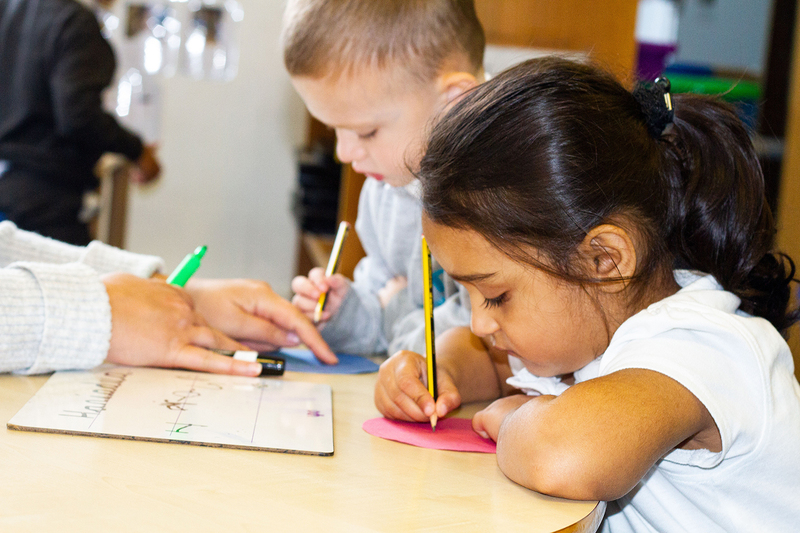 It is not a good start for children The first weeks in the Reception class are an important time for children to get to know the teacher and the new situation, and to become confident in the new surroundings and relationships. Being tested disrupts this settling-in period. It is a waste of valuable time Teachers already find out about the children, in much more effective ways. Article by: Nancy Stewart of TACTYC, the Association for Professional Development in the Early Years.